It’s 1L oral argument season again. Many legal writing faculty colleagues are eagerly gearing up to schedule argument practice rounds for their students as part of the course curriculum. I’ll admit, this component of our 1L legal writing curriculum gives me residual angst. I sit in my office staring at my syllabus and wishing my students could just slide their appellate briefs into a dropbox and skip right to summer break. I know, I know…I’m the educator now, not the traumatized 1L student I once was. My disastrous oral argument was nearly three decades ago. I should be over it by now, right? I should be excited to impart wisdom to my students about the substance and style of oral persuasion. I’m not. Instead, I absorb the anxiety and fear that many of them experience about this law school rite of passage. The anxiety and fear are real. They’re palpable. When I was a scared 1L, none of the advice and messages that I received from well-meaning mentors and classmates seemed to work. I did care. I was prepared. But my fear toward this law school tradition overshadowed every rational thought. My law school oral argument was astonishingly traumatic, and even though it took place 27 years ago, I still feel a pit in my stomach when I think about it. But let me back up a bit and provide some context. As an introverted and socially anxious 21-year-old student, I had a bit of a rough start to law school. My doctrinal subjects intimidated me; the terminology and theories seemed foreign and convoluted. In response to my professors’ preference for cold-calling, I developed weekly stomachaches and migraines. I was prepared for every class with highlighted casebooks, flowcharts, and flash cards outlining every statutory rule and case holding. But I had trouble finding my “lawyer voice.” One day, thankfully I discovered it in my legal writing class. There, I could be my naturally introspective self, take my time to process the sources of law and factual record, and think. I loved learning how to research and write about legal concepts. In the spring of my 1L year, I wrote my first brief. I immediately gravitated toward the tasks of culling through statutes and cases, carefully selecting the right precedent, and crafting a persuasive written argument. I methodically typed my brief and spent days and nights editing it, choosing words and phrases that would best convey the logic and pathos of my hypothetical client’s advocacy position. Reflecting back on that initial brief-writing experience, I understand that those moments were my first law school experience of being in “flow.” Flow is the “theory of optimal experience” developed by Hungarian psychologist Mihaly Csikszentmihalyi (pronounced “chick-sent-me-high-ee”). Csikszentmihalyi defines “flow” as “the state in which people are so involved in an activity that nothing else seems to matter.” He says that “[t]he best moments usually occur when a person’s body or mind is stretched to its limits in a voluntary effort to accomplish something difficult and worthwhile.” Researching and writing in law school became a full-contact sport for me, a mental and physical gladiatorial feat of strength in which pushing myself beyond my limits felt extraordinary. It was the opposite of how I felt in class. In writing my brief, my confidence as an analytical legal thinker bloomed. I understood the elements or factors of each rule, my arguments and counter-arguments, the competing public policies, and the strengths and weaknesses of my client’s contentions. When it came time to prepare my oral argument on the very same doctrine and facts, however, all of that thought, care, preparation, and mastery flew straight out the window. I was stone-cold afraid. Faculty and self-assured moot court team members conveyed advice about how to construct strong roadmap introductions, handle judges’ probing questions, and emphasize key points through strategic voice inflection. Classmates chatted in the hallways about the nuances of the case law and tricky counter-points. No one seemed to be talking about anxiety. Was I the only one who was terrified? Twenty-five years later, in 2017, I wrote a book called The Introverted Lawyer. In the book, I highlight the assets that introverted and otherwise quiet students and lawyers bring to our profession. I also provide advice on how quiet or anxious folks (like me) can amplify our voices in an authentic manner (instead of trying to “fake it till we make it”). When I give book talks at bar associations or law firms, however, and describe my less-than-successful first oral argument experience, people still ask, “Well, if you were afraid of public speaking, why did you go to law school?” When I further report that I ended up working as a litigator for two decades in the hard-hitting construction industry, others assert, “Wow, that was the total wrong career choice for you.” I respectfully disagree. I loved and thrived in my research and writing role in school and practice. And while I definitely faltered in some performance aspects of law school and my litigation job, it’s not because I wasn’t “cut out for it,” “didn’t have the personality for it,” or “should’ve just stuck to writing.” It’s because I never learned how to untangle the fear in law school and lawyering. Let’s teach our students how to do so. As our students embark upon their 1L oral argument experience, many are going to be anxious or afraid. This does not in any way mean they can’t do it or aren’t cut out for law school or a legal career that requires public speaking. It means that we, as educators, need to help them understand why they are afraid and then arm them with mental and physical techniques for untangling the fear so they can perform uninhibitedly. This takes enhanced awareness on our parts as teachers and on our students’ parts as learners. I personally can attest that simply teaching our apprehensive students what a good oral argument looks like, plus presentation style and techniques for navigating judges’ questions, and offering advice like “it’s okay to be nervous; every good lawyer gets nervous!” is not enough. We need to help students name the nerves, the anxiety, the fear. We need to say to them, out loud, “This experience is going to be scarier for some of you than others. That is okay. You all deserve to be here. 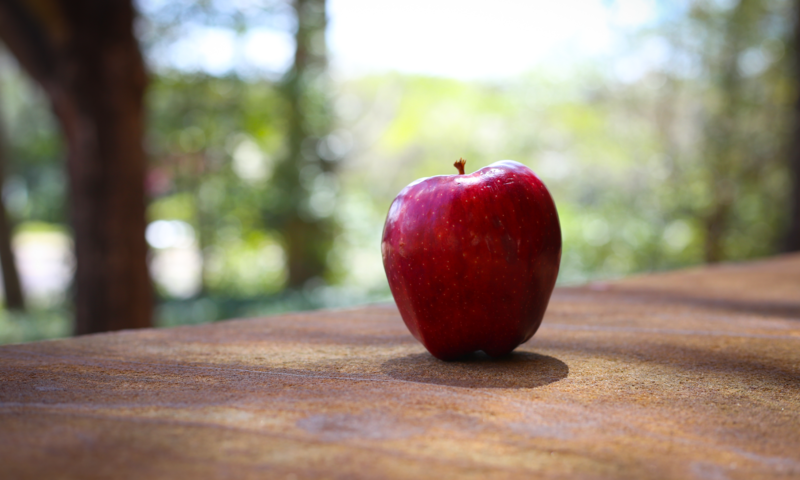 Now let’s figure out why this experience feels scary for some of us.” Let’s talk openly about the fear of judgment, of failure, of looking stupid, of not knowing the answer, of forgetting our words. Let’s make it okay to be imperfect, and instead be real and authentic. It took me years of being afraid before every deposition, negotiation, and court appearance in my litigation career, and finally a transition to teaching, to realize I needed to—and was strong enough to—flip my internal messages. Let’s help our students do that now. After enhancing students’ self-awareness of their mental soundtrack, the next step is to help them understand how to use their physical bodies to power them through an intense performance event. As a law student and junior associate, my fear and anxiety manifested in my rampant blushing, which for me was associated with shame. All those years, I tried to hide my blush beneath turtlenecks and scarves, which accomplished nothing except overheating me. I also tended to make myself smaller in response to stress, automatically crossing my legs and arms, hunching my shoulders, and caving inward. That self-protective reaction unfortunately obstructed my oxygen, blood, and energy flow. Like my mental soundtrack, it took me decades to learn that I could train myself to use my physical frame to empower instead of sabotage me. Fear is physical. The fight-or-flight response is physical: adrenaline flows, and our muscles tense. Law students are already hyper-aware that their physical responses to stress and anxiety in the classroom obstruct their ability to process information, answer Socratic questions, and sift through competing stimuli. Just ask them; they will tell you. Some law students sweat; others shake. Heartbeats race. Throats dry up. These fear responses are no joke. They can be scary in and of themselves. And the fear response unequivocally blocks learning and performance; our bodies and brains shift to survival mode, not “I’m going to craft a brilliant solution to this complicated legal problem now” mode. The good news is: with heightened self-awareness, we can use our physical bodies to enhance our mental performance. Overall, we can help our students reduce fear about oral arguments by openly talking about it, not downplaying it, and providing practical strategies for addressing mental and physical “pain points.” By bolstering students in this way, we can empower them to step into, and ultimately enjoy, many more performance moments than they ever thought possible. Twenty-seven years ago, I went home to my law school dorm room, cried over my calamitous oral argument, and worried about my future in legal practice. I wish someone had told me then that it’s okay to admit that I’m afraid and then helped me untangle the mental and physical drivers of my fear so that I could shine. I’m glad we have the opportunity to do that for our students now. We can help our students navigate the oral argument experience in an authentic way by honoring their courage in admitting trepidation, and then arming them with mental and physical techniques to transform fear into fortitude. 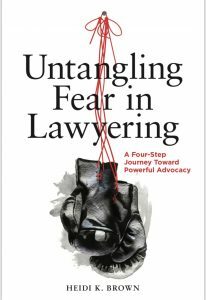 For more information about how to do so, please check out the additional resources below, including my new book, Untangling Fear in Lawyering: A Four-Step Journey Toward Powerful Advocacy. Please also feel free to reach out to me, or have your students reach out to me, at [email protected] I am determined to help anxious students know that they are not alone, we can figure this out, and together we will change the legal profession. Mihaly Csikszentmihalyi, Flow: The Psychology of Optimal Experience (New York: Harper Perennial, 1990), at 4.